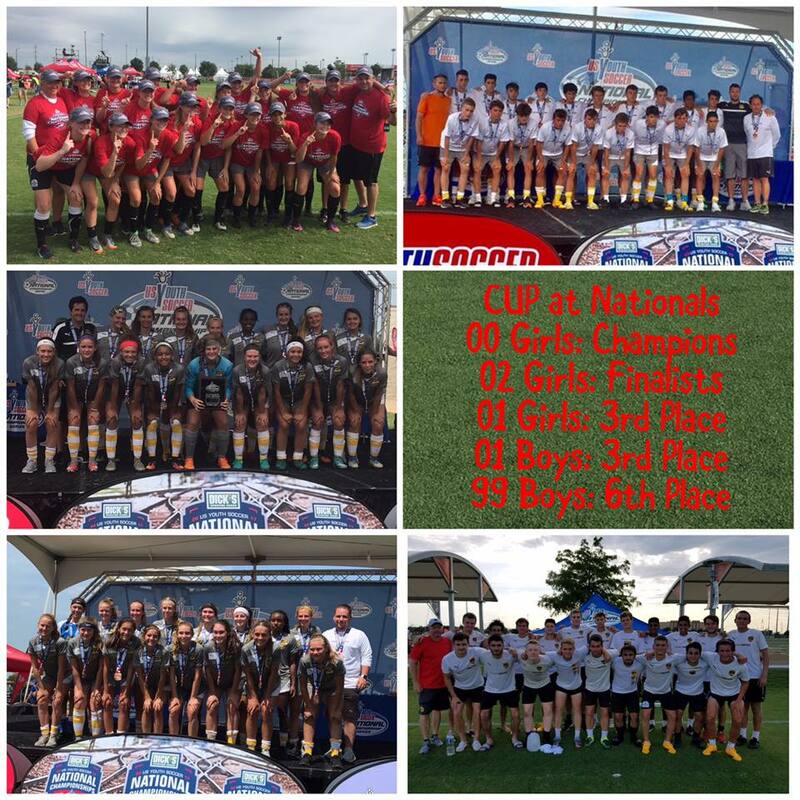 Cincinnati United Soccer Club sent 5 CUP teams to Dallas, TX to compete in the USYS National Championships. 3 girls and 2 boys teams fought against the nation's best for a national title. 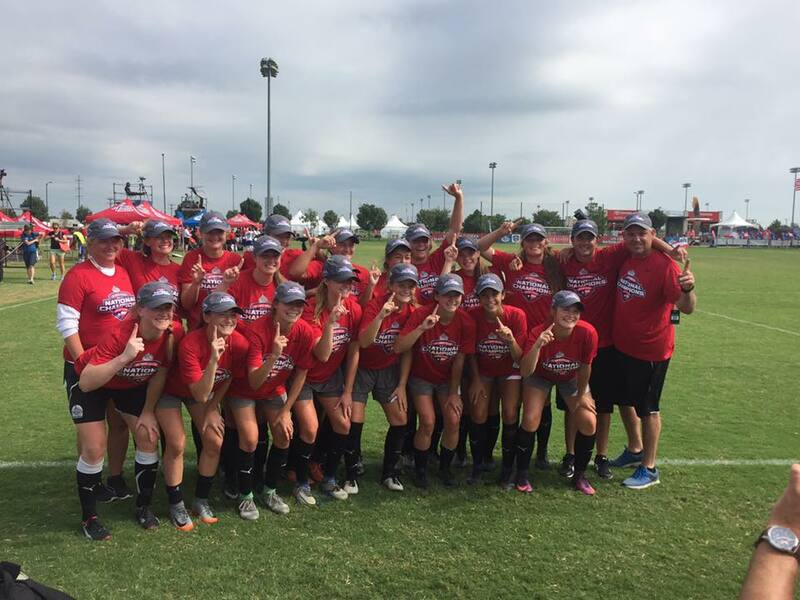 The CUP U17/00 Gold girls won the club's first US Youth Soccer National Championship by beating last year's national champs, Midwest United, in penalty kicks. The CUP U15/02 Gold girls finished as national finalists. The U16/01 girls and boys teams both finished third in the country, while the U18/99 boys came in 6th. This was the best showing at the national championships for the club. "We are so proud of these 5 teams for a great national championship week," said CUP Girls DOC Bobby Puppione. "To win a national title, have a national finalist, two teams finish in third, and one in sixth is an impressive accomplishment for our club. This is a testament to the club's commitment to the player development process." More than 30 of our players that competed at Nationals have already committed to college programs. Many college programs were in attendance to scout players for college soccer. And, US Soccer Youth National Team Scouts were in attendance to watch for future inclusion for youth national teams.